How the handmade makers of delicious Scottish Fudge came to be. 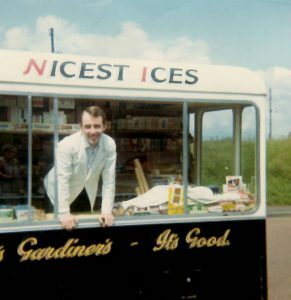 1960’s: Gardiners Dairy Ice-Cream business was established. 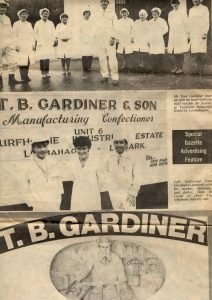 Tom Snr worked alongside his father Daniel manufacturing dairy ice-cream from their Fish and Chip shop in Abeygreen, Lesmahagow. 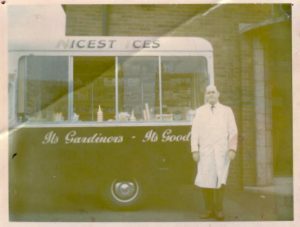 The ice-cream was sold in the shop and door to door from their ice-cream vans and at the local agricultural market in Lanark. 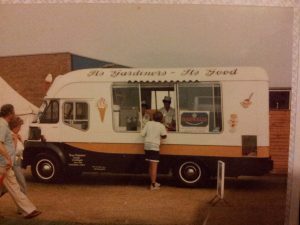 1970’s: In the mid 70’s Tom Snr took over the reins and purchased a larger Ice-Cream van. 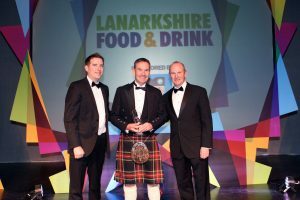 Tom attended events such as The Royal Highland Show and The British Open Golf Tournament around the UK and grew the business substantially. In 1977, a small unit in Church Square, Lesmahagow, saw the first production of their own nougat wafers and oysters, this made sense as they were an integral part of the ice-cream trade. Not only were they sold in their own units, a new market was created as Gardiners started selling these to other people in the Ice-Cream trade. 1980’s: Due to increasing demand new premises were needed, so the move was made to a larger industrial unit at Turfholm. As well as nougat wafers and oysters being produced, side lines such as frying-pan lollies and toffee-apples were introduced. During the making of the Oyster shells there was a significant amount of chocolate and coconut left over, this planted the seed in Maureen’s mind to make Macaroon bars. Butter tablet was next on the agenda and from here on the confectionery manufacturing began. In 1985 Tom Jnr was now working full time alongside Tom Snr and Maureen. As things were gathering momentum with the confectionery production, the decision was taken to sell off the Ice-Cream portion of the business and concentrate solely on manufacturing confectionery. 1990’s: As production, packaging and storage capacity was becoming an issue larger premises were needed once again, so in the early 90’s more factory units adjacent to the current unit were purchased. Once again Gardiners expanded their manufacturing potential with Tom Jnr introducing new flavoured fudges to the process. 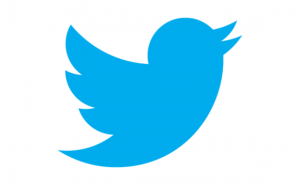 New packaging ideas were created and the brand began to come together. 2000-2018: The past 17 years have seen Gardiners of Scotland Ltd flourish, manufacturing and distributing their goods world-wide from their premises in Lesmahagow.